Aero Tech Men's Pro Sleeveless cycling jersey is packed full of features. 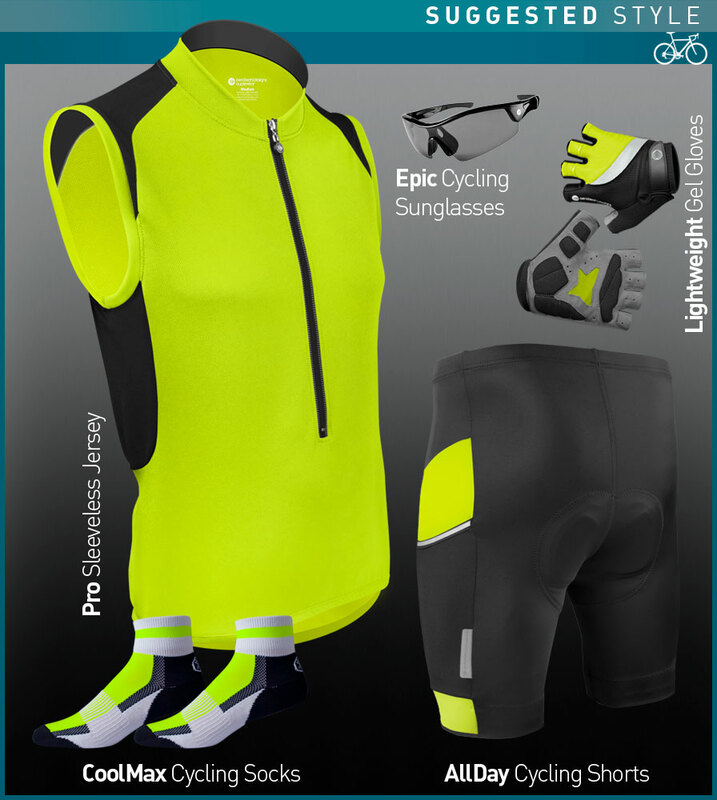 This jersey is perfect for hot and sunny conditions because the fabric has sun protection and is well ventilated. The base fabric is our AeroDRI material that consists of 100% Polyester with sun protection. 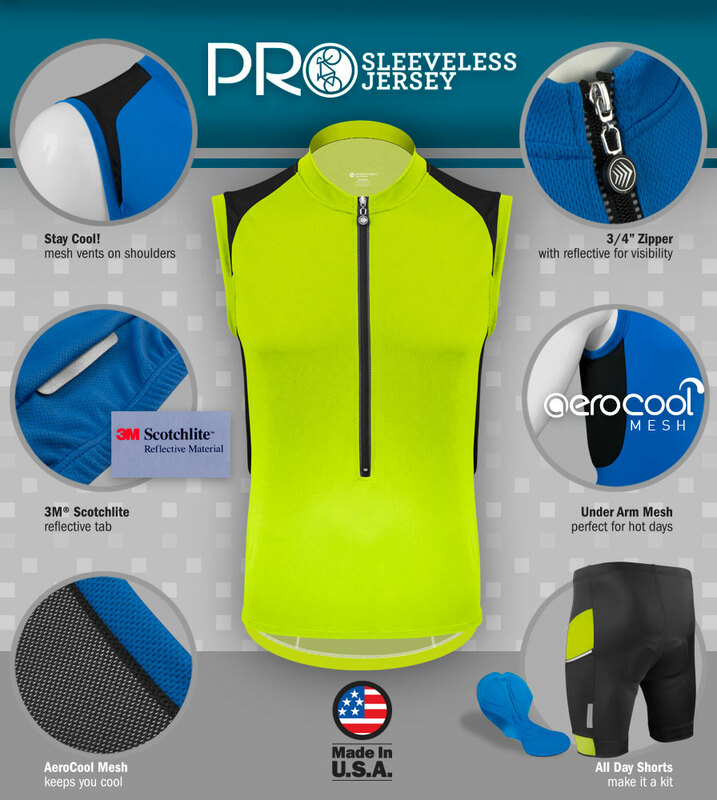 Our Pro Men's Sleeveless Jersey has mesh side panels and shoulder inserts for extra dryness and breath-ability. Along with 3 rear cargo pockets on the back of the jersey, we also include a reflective tab under the pockets. The 3/4 length zipper also has reflective elements for safety during low light situations. We always include reflective on all of our products because safety on the road is one of our top priorities! Our Pro Sleeveless Jersey is also made in the USA and sold factory direct to you. This means no middleman or retailer mark-up and a better valued product. Great for hot gyms and the sleeve vents help keep me cool. Plus I love showing off my muscles!